Come chat, craft and get creative! In this session, we will be creating a hanging ornament craft to showcase the incredible veterans in our community. Please bring a printed copy or picture of your veteran to use for the craft. Registration is required. As of 1997, a total of 427 species of birds have been documented here. 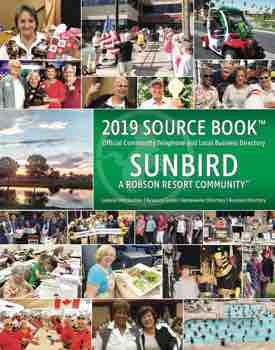 Mark Larson, President of the Maricopa County Audubon Society, will introduce you to some of the beautiful birds that can be seen at different seasons and in different habitats. Learn the basic skills to navigate the Internet. This program is for beginners, but keyboard and mouse skills are recommended. Registration required. Limit 10 people. Mindfulness Based Stress Reduction has offered relief to thousands of patients over three decades by addressing chronic pain, lowering blood pressure and aiding sleep habits. Yoga and Mindfulness Instructor Gerri Varas shares the benefits of this natural therapy. The holidays are often difficult for grieving families. Hospice of the Valley shares how to be gentle with yourself and develop strategies for moving through a challenging season. Saturday, November 18, at 9:30 a.m.: Storytime Saturday! Join us for fun with books, songs, action-rhymes, flannelboards, crafts and more. Activities are developmentally appropriate for ages 3-6, but all ages are welcomed. Be ready to sing, learn and discover! No registration required. Drum circles are a positive community experience designed to enhance self-realization, reduce tension, anxiety and stress, result in a positive medical impact and release emotions. No experience necessary and all instruments provided. Age 18 and over. Registration required. Limited to 30 attendees. Please join us as Ken Bogart plays the beautiful music of the Native American flute in honor of National American Indian Heritage Month. Ken is the director of the Arizona Flute Circle, founding member of Tuesday’s Flute group, Native American flute instructor and active member of the World Flute Organization. Come chat, craft and get creative! The holidays are right around the corner! We will make cute and easy greeting cards that you can mail out to your loved ones. All supplies are provided and included for this program. Registration required. The library will be closed on Friday, November 10, in honor of Veterans Day, and also on Thursday and Friday, November 23 and 24, in honor of Thanksgiving. We will be open on Saturday, November 25. We are located at 9330 E. Riggs Road. For more information, go to mcldaz.org, or call 602-652-3000.